Always nice to hear from the comment section of Niykee Heaton’s Instagram. This post has nothing to do with Niykee Heaton, though, as I actually put this picture up to call out trepac, and his opinion on guys in overalls. What’s wrong with guys in overalls, trepac? Guys in overalls founded this country. My great grandfather wore overalls just like his great grand daddy before him. If it wasn’t for guys in overalls, you wouldn’t have the right to make a comment like this on social media. To say I’m furious is an understatement, and I know Matt agrees with me. If trepac has a problem with guys in overalls, then he has a problem with us, and that’s a problem you do not want to have. This is probably the most insane Instagram comment I’ve seen so far, and that’s saying something. Let the men in overalls be! 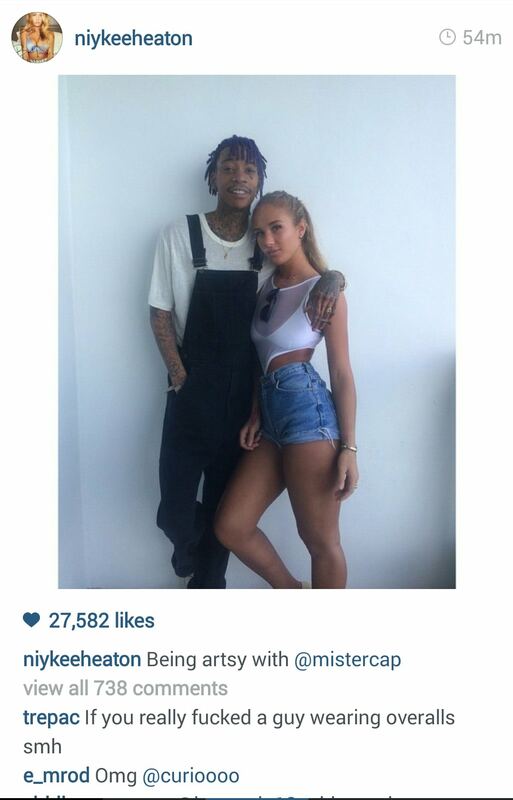 Posted on December 9, 2014, in Average Blog Posts and tagged niykee heaton, niykee heaton instagram, overalls, wiz khalifa. Bookmark the permalink. 2 Comments. I will where my overalls WHEN AND WHERE I WANT! Overall single handedly saved my Halloween costume.